We’ve heard time and time again about how detrimental obesity can be towards your health. In the United States, it’s estimated that the average obese person will spend 42% more on medical bills per year, than that of a healthy person. So, it comes as no surprise that exercise and diet are more popular than ever. Going for a brisk walk, jogging, sporting hobbies or simply visiting the gym is, of course, going to ensure that your body stays strong and prevents obesity. Regular exercise promotes healthy blood flow and lessens your chances of getting heart-related issues. Does anything else promote healthy blood flow that you may not have heard of? Let’s see if cannabis could potentially help with recovery and endurance for exercise. How Does Cannabis Help with Exercise? Cannabis Gives a New Meaning to “Runner’s High”: The medical community knows that the human body stores Tetrahydrocannabinol (THC) in fat. This is one of the active compounds found in cannabis that has psychedelic effects. New studies show that this storage process can give you an extra boost to your daily mood. The increase in the THC levels in your blood flow is gone two hours after you work out. The same study showed that there is a relationship between THC release and BMI. When your BMI is greater, your body reintroduces more THC levels to the body when you exercise. “Runner’s High” and “Stoner’s High” have Similarities: Aside from improving blood flow and heart health, exercising helps create new brain cells. It decreases stress and prevents you from getting other illnesses. However, endorphins aren’t the only things that make physical activity feel great. Endorphins are the compounds that make you feel excited after doing physical activities. Recent studies conclude that other than these, exercising activates your body’s endocannabinoid system. Consuming cannabis and exercising, activates the same system in a similar way. 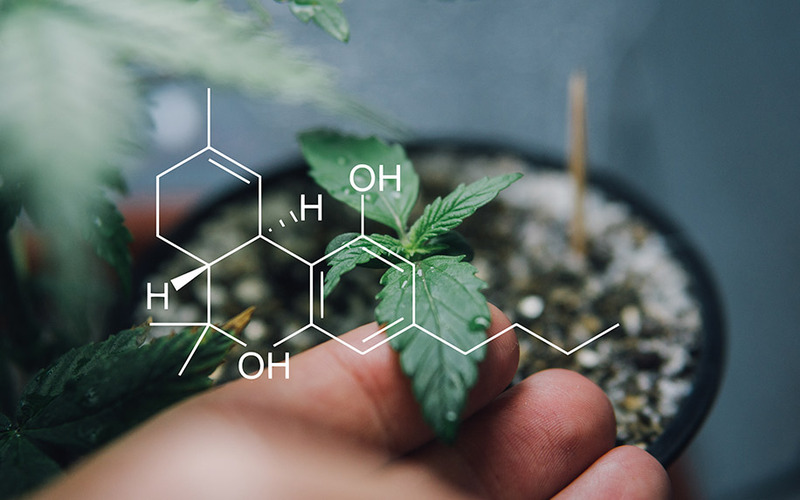 The endocannabinoid system binds with the active compounds found in cannabis, like THC and CBD. When experiencing pain in exercising, the body makes its own cannabinoids to ease the pain. The more you exercise, the more cannabinoids your body makes. Cannabis Helps Counteract Muffin Tops: Exercising helps to burn off fat, sugary foods. Burning calories isn’t the only thing that helps you lose weight. Regular cannabis consumers have fasting insulin levels 16 and lower compared to those who don’t. It also lowers your insulin resistance level by 17% and thus makes your waist circumference lower. If your body has a lot of unused sugar in your cells, you gain weight. Insulin is the hormone that regulates your cells to make them use sugar as energy. The cannabinoids found in the cannabis plant helps manage the body’s metabolic functions and better handle your insulin, making you lose weight. What Happens After You Consume Cannabis? The Cannabis Sativa plant has over 700 chemical compounds. The primary active ingredients that affect the body are cannabinoids, which includes THC. It’s responsible for the psychoactive effects experienced once taken. After inhaling, the cannabinoids reach peak levels of concentration in your blood flow. This is the fastest way to deliver it to your system, taking an estimated 6- 8 minutes for effects to occur. Ingesting cannabis-based edibles can take 60-90 minutes before it reaches peak levels. The neural effects start after 20 minutes and maximize within 2-4 hours. The cannabinoids bind to the cannabinoid receptors found in neurons and peripheral cells. CBD and cannabis could help you in many different ways. This includes controlling your appetite, managing the sensation of pain, and helping your immune system. It makes you feel less stressed, controls your hormones, and signals your muscles and fats. How Does Cannabis Affect Blood Pressure? Some cannabis users may experience a mild to moderate increase in blood pressure and heart rate. However, it all depends on the dosage. After a few days or weeks of taking cannabis, your body develops a tolerance to its initial effects. Repeated use helps you have a lowered heart rate and blood flow pressure. Most people give anecdotal reports about how cannabis has helped with their healthy blood pressure levels. A small detail can change how cannabis affects your blood flow. Your posture can influence your blood pressure when taking cannabis too. Consider when you are sitting or lying down, your blood pressure could be totally different, depending on what you’re doing and how your posture is positioned. For example, say you are sitting down when you consume cannabis and stand up after a certain amount of time, you may feel lightheaded or faint. Again, this all depends on how fast you stand, and it’s unlikely that the lightheadedness will make you lose consciousness. What this essentially means is that your blood pressure may rise slightly when you try to stand after a duration of sitting down. In saying that, the effects of taking cannabis whilst standing are different. Studies have shown that your blood pressure drops without increasing at all. There aren’t a lot of published studies that verify this effect, however, a lot of anecdotal evidence supports the claim enough to try. Taking cannabis over a long period of time can react to your body quite similar to that of exercise. If you want to test out how cannabis affects you, monitor your own blood pressure when taking it. Different cannabis strains can have varying effects on your blood pressure, so it’s important to check whether the cannabis is a Sativa or an Indica strain. Does Cannabis Help Prevent Hypertension? As mentioned earlier, the endocannabinoid system has an important role in regulating key bodily functions. This includes helping out with the cardiovascular system. The body’s naturally-occurring version of THC, anandamide, relaxes the body’s blood vessels to ease blood flow. What this implies is that this chemical can let the blood flow more and lower blood pressure. Many researchers are looking into the endocannabinoid system in more depth. The question of whether or not we can treat hypertension with the use of cannabis has still not been clarified but is under inspection. Despite the fact that there are a lot of studies involving cannabis as a potential treatment for hypertension since the 1970s, no cannabis-based medications have gotten the approval just yet. Therefore, researchers and medical cannabis doctors can’t use anecdotal evidence to say that cannabis is the ultimate treatment for hypertension. What Do You Need to Consider When Taking Cannabis to Help Exercise? If you live in a place where cannabis is legal for recreational use, you should begin using it while doing short, low-risk workout routines. Peak performance and better blood flow are not the main concern until you get more accustomed to how your body reacts. Don’t take cannabis when you’re trying to deadlift or sprint for long periods of time. The key here is to regulate it until your body is ready to get into heavier activities while under the effects of cannabis. When taking cannabis to help with blood flow, skip the edibles. They can be unpredictable when it comes to the time it needs to kick in. The healthiest and fastest way to ingest is to use a cannabis vape, which contains the active components extracted from the plant. Lastly, the strain of the cannabis you take matters the most. Most athletes who use cannabis get the high-end, specialized strains. A good strain choice can help you focus and stay in the zone while you exercise. 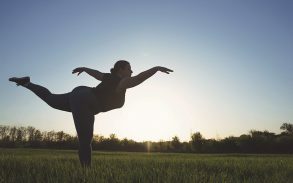 If you want to use cannabis for yoga, there are strains out there that can help with laxity and poses, relaxation, and meditating on a whole new level of awareness. Let Cannabis Help Your Blood Flow While Exercising! Cannabis helps your body in a lot of ways. It helps you relax and can stabilize your mood while helping you perform calmly under pressure. The growing number of studies says that cannabis could potentially help regulate blood flow. For some, it can allow better exercise since it relieves pain and makes the experience more enjoyable. However, when it comes to regulating blood pressure, the research on cannabis and its effects still have a long way to go. It is always best to speak to a professional before doing so.